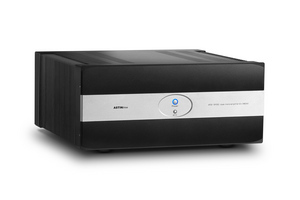 Winners last year of the Bristol Show '2018 best demonstration' award, Astin Trew are building on this and demonstrating their NEW AT2-1100 pre-amplifier, a solid state design 'voiced' the Astin Trew way, to get as close to the musicians intention as possible. This is coupled with the AT2-5100 dual mono power amplifier, conservatively rated at 185W/channel, using just one very special pair of output MOSFET's per channel, it offers supreme timing and holographic imaging alongside enough power and dynamics to fill all but the very largest listening room! This pre-power amplifier combination will be supported at the front end with a vinyl set-up using the Planalogue turntable, Sorane tone-arm and new Hana ML cartridge. Cabled throughout by Black Rhodium and playing through Graham Audio LS6f floor standing speakers.